This is one of Harrison Ford’s most harrowing moments on film ― and it was real. 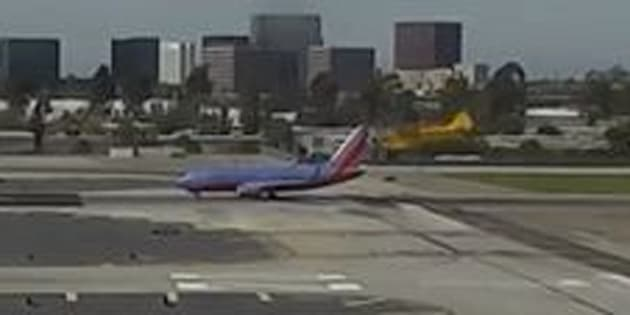 Video obtained Tuesday by TMZ of his recent piloting mishap shows the “Star Wars” actor flying too close for comfort over a passenger jet as he landed on a taxiway. The Feb. 13 incident at John Wayne International Airport in Orange County, California, has the 74-year-old Hollywood icon in potential hot water. The FAA is investigating. “Was that airliner meant to be underneath me?” he reportedly asked air traffic controllers after his single-engine aircraft passed over the jet. According to outlets, Ford was cleared to land on a proper runway but touched down on a live taxiway next to it. In 2015, Ford crash-landed on a golf course.